By registering on our website you will be able to shop and stay informed about their orders. It quickly and safely. You're welcome! 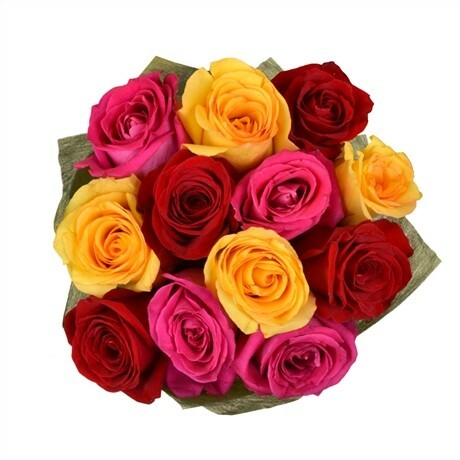 Brighten the day of a friend, loved one or a family member with this fun and vibrant 12 mixed roses bouquet. Buy with confidence, security is a priority for the Floresnaweb team. 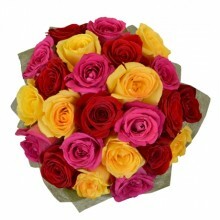 This bouquet features 12 mixed (4 yellow, 4 pink and 4 red roses) premium quality national roses with baby-breath and greens. 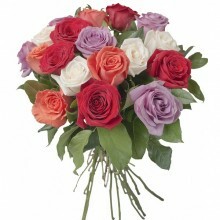 The picture is illustrative but on the same quality standards as the bouquet delivered. Packaging and greenery may differ according to availability of our local florist however we guarantee the effect and satisfaction of recipient. 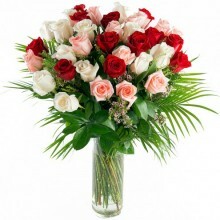 Hello, we are the ideal online florist for you in Brazil - we deliver flowers and gift-baskets. We have been in this market since 1990; Floresnaweb is an online flower shop recognized by customers all over Brazil and abroad. We are proud of our excellence in the sale of flowers, baskets and gifts online. We have been doing this for a long time, and many positive experiences have been made possible thanks to the commitment of our team and the vast network of florist partnerships we have throughout the country. 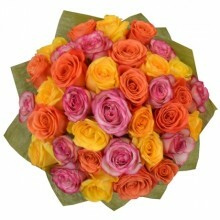 Did you know that Floresnaweb also delivers flowers abroad? That's right, we are recognized for the quality, care and products and we have partnerships with flower shops in Spain, England, United States, Portugal, Italy, among others. We are always attentive to trends and we know that quality is what customers seek. After all, beautiful flowers, incredible gifts, and sophisticated arrangements are what one expects to celebrate, enchant, and surprise, right? For those who are looking for the convenience that an online florist offers, this is the best opportunity to buy flowers online safely and reliably. We are a market leader, making dreams come true and satisfying customers from all over Brazil. Browse through our products and surprise yourself with the beautiful flowers and gifts in our store. Easy to use site. Product was great. Better than expected. Great customer service and fast delivery. Very happy I placed my order here. 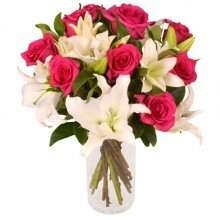 Beautiful Flowers delivered to Sao Paulo within 24 hours of ordering. Excellent service !